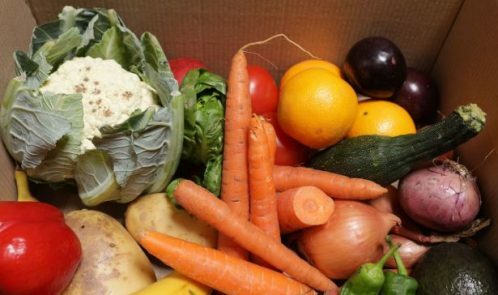 Discount supermarket chain Lidl UK is going to roll out its ‘Too Good to Waste’ produce boxes across all stores, after a trial across 122 locations last year proved successful. The boxes retail for £1.50 and are designed to reduce store-level food waste while providing nutritious ingredients at an accessible price. Each box contains around 5kg (11lbs in old money) of fruit and vegetable produce which is considered fit for human consumption, but either past its best or not up to current regulations surrounding size, shape and colour. The boxes are prepared in-store by Lidl staff on a daily basis from fruit and vegetables which have been left on shelves by customers. They are then sold between store opening and midday. After that, they are sent for redistribution via Lidl’s community food scheme, Feed it Back. Run in partnership with food and sundry redistribution platform Neighbourly, Feed it Back enables Lidl to send surplus products directly to local causes, minimising food waste and carbon emissions from transport. The Too Good to Waste boxes first hit Lidl’s shelves in August 2018 and were made available across 122 stores in England, Scotland and Wales before the start of 2019. More than 50,000 boxes have been sold, which Lidl claims is the equivalent of 250 tonnes of food that would otherwise have been wasted. The initiative builds on Lidl’s August 2017 goal to cut food waste by 25% per store by 2020. One year on from setting the target, Lidl had reduced food waste by 13% and also committed to the Sustainable Development Goal (SDG) target of cutting food waste by 50% by 2030. The retailer has also introduced additional price reductions on its fresh items that contain use-by dates – on top of the 30% reduction in place for items approaching the end of the recommended dates. In 2018, it was revealed that a third of all fresh fruit and veg is binned every year in the UK. Across Europe, more than a third of fresh produce is discarded, meaning in the UK 4.5million tons is thrown away.